WHAT IS IT? 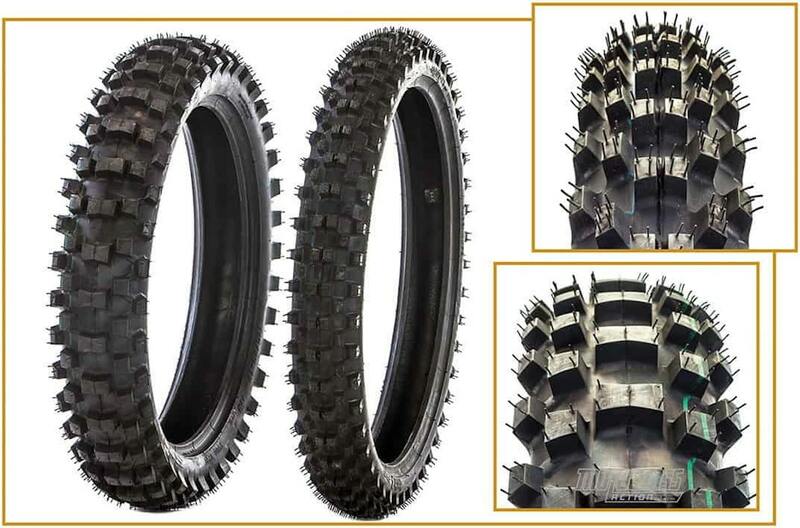 The STI Tech 2 Pro tire is the second generation of STI’s original Tech 2 MXC, which was introduced five years ago as an all-around, low-cost, offroad tire combination. The all-new Tech 2 Pro is more focused on the racing market as opposed to the trail rider category. WHAT’S IT COST? $87.51 (rear), $69.95 (front). WHAT STANDS OUT? Here’s a list of things that stand out with the STI Tech 2 Pro tires. (1) Focus. 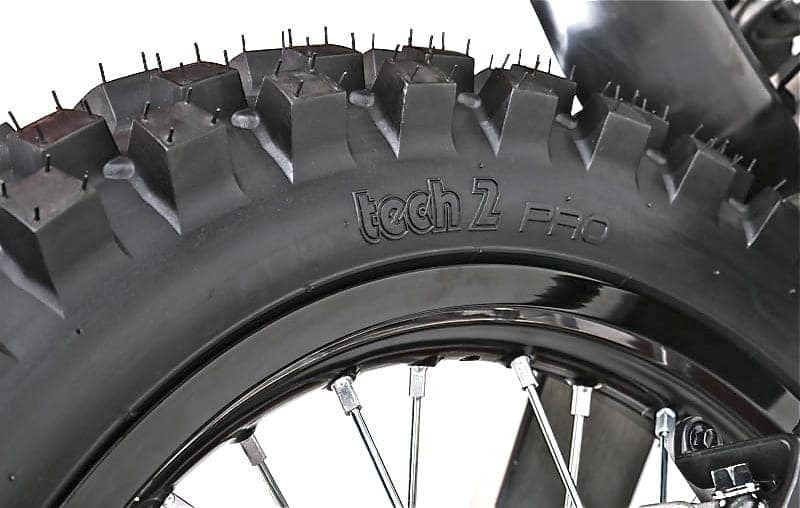 The original Tech 2 MXC tire, which MXA tested four years ago, was designed to be an inexpensive, do-it-all tire. 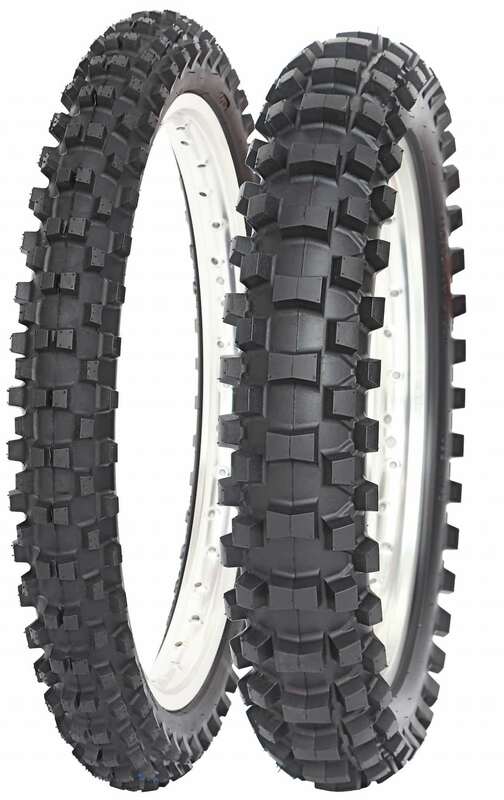 It could be used as a motocross tire, but was fairly heavy, suffered from knob flex and required low tire pressures. STI went back to the drawing board to design the Tech 2 Pro tire. It features a grippier rubber compound, varied-pitch tread pattern, beefier shoulder knobs and a lighter four-ply carcass. Plus, STI hired former Geico Honda rider Zach Bell and two-time ISDE gold medal winner Justin Jones to do the test riding. (2) Rear tire. The STI Tech 2 Pro is vastly improved over the previous Tech 2 MXC rear tire. Billed as an intermediate-terrain tire, the Tech 2 Pro had awesome straight-line traction in everything from hard to soft dirt. It tracked well in ruts and hooked up aggressively in loose berms, thanks to the widely spaced center knobs. Knob flex was greatly reduced, thanks to the reduced land/sea ratio of the side knobs, but this produced a much firmer sidewall, partially because the Tech 2 Pro has a four-ply carcass. To reduce the bounce effect, we lowered the tire pressure from 13 to 12 to 11 to 10 psi. The lower we went, the better the feel. (3) Front tire. The front STI Tech 2 Pro’s land/sea ratio is spaced like a sand tire but with the side knobs aligned in alternating rows for cornering bite. It looks like a sand tire but has the feel of an intermediate tire. The four-ply construction should be very stiff, but since the front knobs are not reinforced with bridges or bars, the grip is better than we expected. It was a decent front tire. It didn’t do anything bad (like letting go without warning), and, thanks to its price, it would be a usable race tire for a rider on a budget. (4) Durability. STI is very proud of its rubber compound. It delivers good performance from hard to soft terrain, yet wears like iron. The tread pattern wore evenly across the face and kept performing even as it got older. Given that it is almost $30 cheaper than a Dunlop, Pirelli or Metzeler, it’s a deal. (5) Sizes/weights. Comes in 100/90-19 (11.5 pounds), 110/100-19 (12.0 pounds) and 120-80-19 (12.5 pounds). The 80/100-21 front weighs 8.8 pounds. The Tech 2 Pro is also available in 18-inch sizes for enduro bikes. WHAT’S THE SQUAWK? You must take the time to find the proper air pressure for your conditions. MXA RATING: STI made massive gains in tire performance from the MXC to the Pro without coming close to the MSRP of the premium brands.